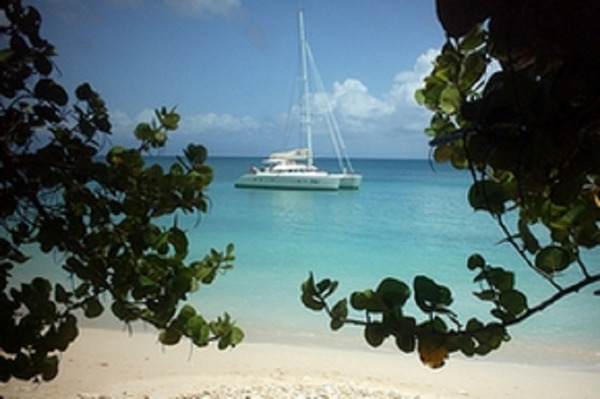 Go on board of a catamaran and visit the islands of Guadeloupe! The crew welcomes you on board to make you discover the beautiful nature and regional specialties. Don't miss the opportunity to jump in the crstal clear water and try exciting activities such as snorkeling or scuba diving. 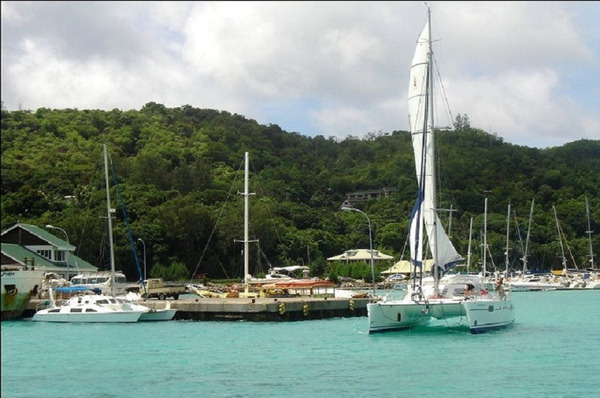 This sailing tour leaves nothing else to be desired and shows you France in another way. At your arrival at the airport, a private taxi or minibus will pick you up and drop you off at your accommodation. Boarding on the catamaran with a professional skipper and stewardess (or marine / chef). The crew speaks French and a little bit of Englisch. Morning: Journey to Anse Canot in Marie Galante (2 hours). Guided tour of the island with a minibus (Gueule Grand Gouffre, le Château Murat, Capesterre) and visit of a ruhm distillery. 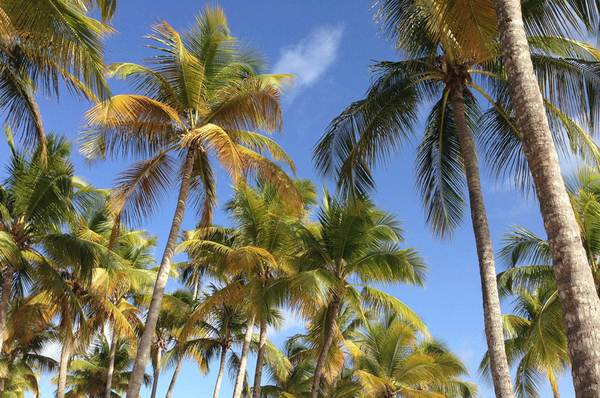 Discover the west coast of Dominique and its volcanos, the Indian Lager, the tropical forest with the famous Smaragd Pool. Afternoon: You will take a bath in the Trafalgar waterfalls before heading back to the catamaran. Lunch on the way to Basse Terre. 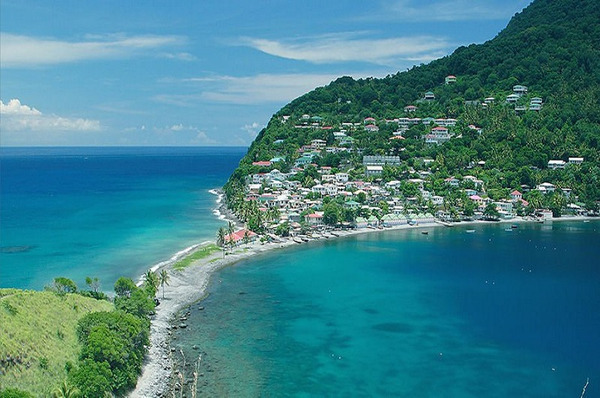 Afternoon: From Basse Terre you will sail along the West Coast to the Soufrière volcano (2 hours). 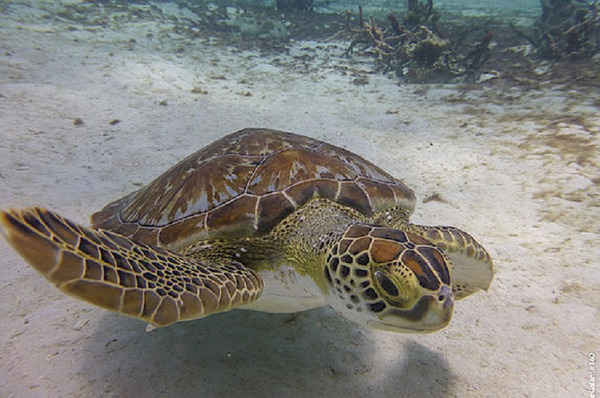 Taking a bath or Snorkeling to see the Malendure turtles in the famous Cousteau Reserve. Evening: Zouk und Ti-Punch Aperitif in from of the sunset on the Malendure beach. Morning: You can choose between bathing, diving (optional - extra to be paid) or a boat tour with glass floor. 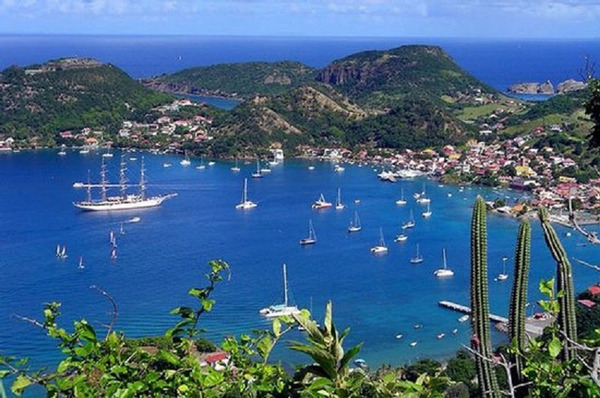 Afternoon: ﻿Journey to Les Saintes Archipelago (3 hours). 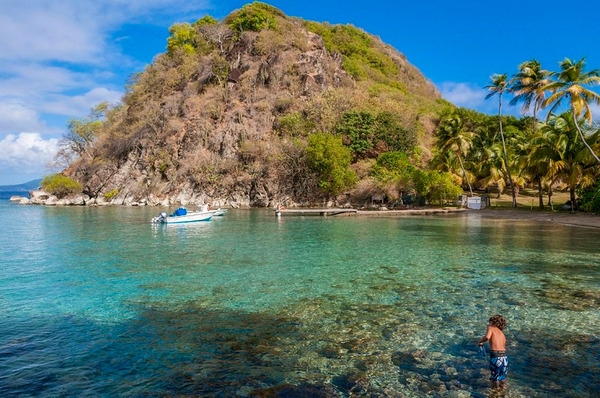 Morning: Discover Les Saintes Archipelago. Snorkeling or Relaxing on the beach. Afternoon: Tour through Terre de Haut and Iguana observation. Morning: Journey to Pointe à Pitre. 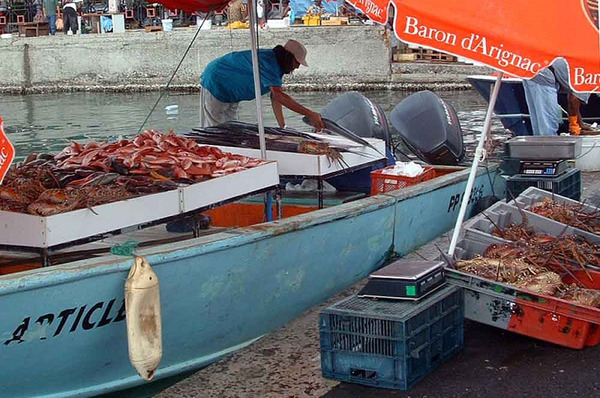 Visit Pointe à Pitre and its market, stroll through the Marina in Bas du Fort. 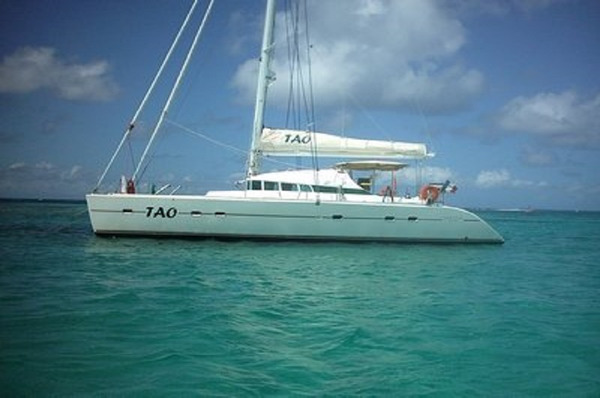 End of the cruise: the catamaran will drop you in the harbor of Saint Anne in the morning. It’s time to say goodbye! A private taxi or minibus will pick you up at your accommodation and drop you off at the airport.